Raja Ampat has a lot to offer to scuba divers, snorkelers and bird watchers all year round. However, contrary to many places seasonal differences in Raja Ampat are driven by plankton upwellings and winds rather than weather. Sea and weather temperatures are stable all year round which makes it very easy to plan your journey. The sea temperature is between 28oC and 29oC all year. Historical weather temperature averages are 30 oC during the day and 24oC during the evening, however it may go up to as high as 34oC at day time. 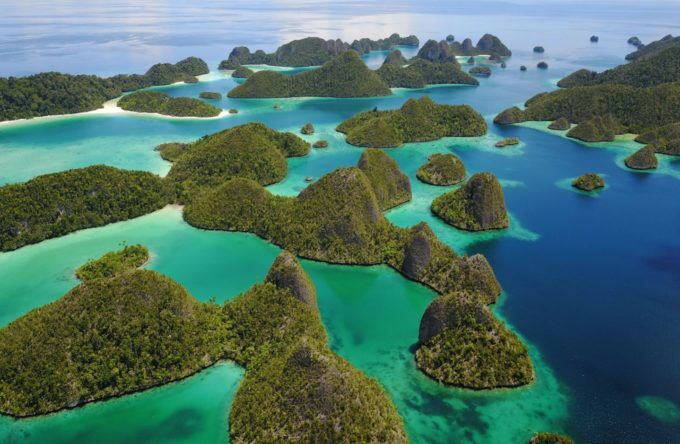 Raja Ampat has two seasons and the direction of the wind dominates these rather than the rain. Like many tropical places, Raja Ampat is rainy all year round with tropical showers and sunshine within the same day. Northwest monsoon starts around October and finishes in May. Deep water upwellings that happen during this season trigger plankton blooms. 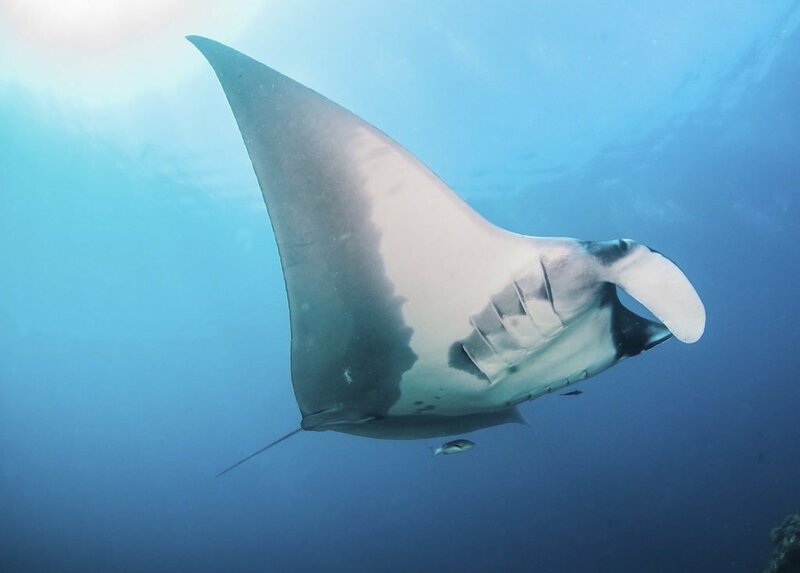 As a result, plankton eaters like mantas and whales start coming to the area. Since the waters are nutrient rich, many animals reproduce during this period. Respectively, it’s common to observe mating marks on female sharks. 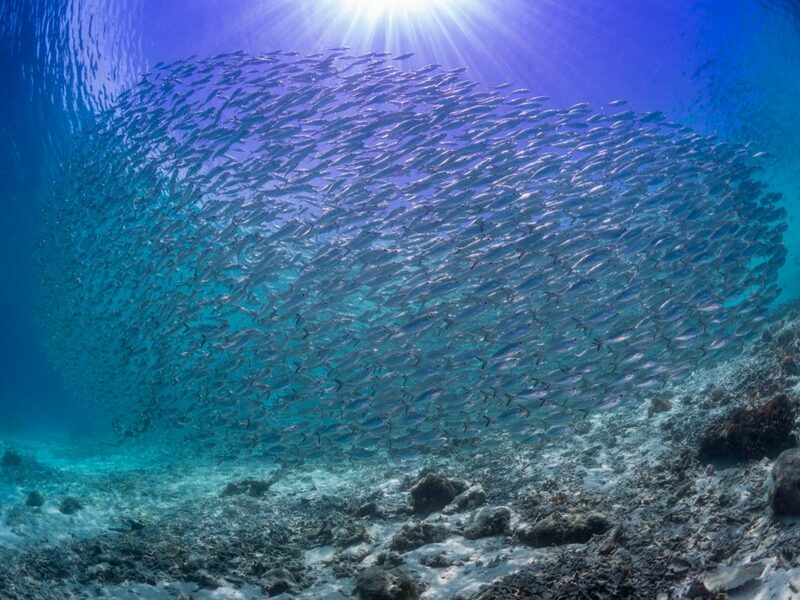 Despite the rewarding marine action, visibility can be challenging for underwater photographers. Historically, November to January are the wettest months of the NW monsoon season. The Southeast Trade winds start in June and finish in September. These winds may cause waves. They can blow strongly and the areas outside Dampier Strait can be wavy in this period. This season has very little upwellings, and less plankton means amazing visibility. Crystal clear waters are a highlight for divers and snorkelers alike, making up for fewer encounters with mantas and whales. With all the reef fish and fabulous corals, this period of the year is ideal for underwater photography. Dampier Strait is protected from the waves and bad weather. In summary, the area is accessible to amazing diving all days of the year. Papua Explorers operates for 12 months and welcomes all nature enthusiast year round.